Last May, IAM issued a "cyclists run red lights" press release, this May there's a more positive angle, but with wonky advice. Last May, BikeBiz.com took to task the Institute of Advanced Motorists for releasing a press release claiming that 57% of all cyclists run red lights. It turned out the website poll "research" cited in the release was highly misleading. IAM had singled out cyclists yet even though it had data on motorist red light running it did not release this data. Now, perhaps to make amends, the organisation has issued a release urging people to get out on bikes. This is a good thing, but some of the advice is terrible. 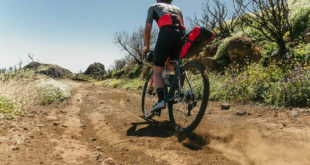 Despite IAM having a cycle training section on its website the cycling press release – full text of which is at the base of this article – was based on advice from "Britain’s top advanced driver, Peter Rodger." 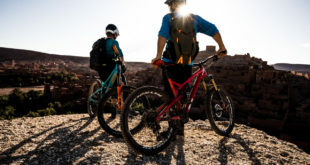 The press release – headline: "Have a bank holiday bike binge" – is littered with duff advice. "You’ve got the right saddle height when you’re sitting on the saddle and touching the ground with the balls of both feet," claims Rodger. This is woefully mistaken advice and would lead to an ungainly, uncomfortable and inefficient position on the bike. "Ride defensively and always make the assumption that you may not have been seen by other road users," says Rodger. "I’m not even sure what riding "defensively" looks like. But I’d suggest that to many non-cyclists it might imply, for instance, hugging the kerb. I’d suggest riding "assertively" is the term that was being looked for?" "Remember that getting to the front of a queue is a great advantage – but sometimes it’s better to be as a cyclist a little more relaxed and less rushed, just as a car driver might be," asserts Rodger. Munk counters: "As most cyclists, drivers and pretty much all road users know, the reality is it’s far from likely that the average car driver will be "more relaxed and less rushed". It’s hardly good advice to tell cyclists to behave like drivers, or to pretend that the average driver is relaxed and not rushed when the reality is evident to anyone who goes near a road, just about ever." "Keep a door width’s space between yourself and parked cars in case anybody opens the door without looking – collisions between car doors and cyclists are worryingly common." Naturally, Rodger’s advice ends with the admonition to don headgear: "And though they may not be a legal requirement, helmets are a must." 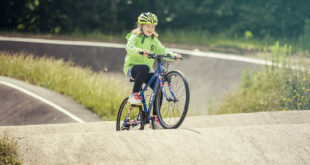 Monk said: "The "tips" presented in the press release seem to have been written by someone with little real-world knowledge of cycle training, cycle safety or cycling. They’re not in many cases based on evidence or the latest in cycle training ideas. 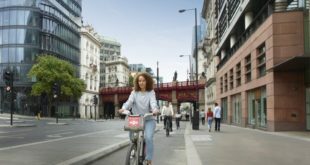 "I doubt IAM would want to put out such an uninformed tip sheet for motorists – why does the organisation think that such an approach is acceptable for cycling?" on getting back into cycling in time for bank holiday weekend. been seen by other road users. less rushed, just as a car driver might be. and cyclists are worryingly common. to deal with things before they happen. though they may not be a legal requirement, helmets are a must. Follow us on Twitter @IAMgroup. Next Is it really worth sponsoring a pro cycling team?